To save a publication to your computer right click (control click for Mac users) on the publication's title and select a location on your hard drive to save the file. 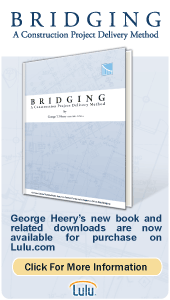 This publication provides a concise explanation of the components of the Bridging method. "Bridging is a better method of organizing the roles of architects, engineers and contractors which reduces both the risks and costs to the Owner. It does so without any loss of opportunity for creativity or loss of control over design or construction quality when properly applied." This document highlights Brookwood's extensive planning and program management experience with sports facilities, and the firm's commitment to providing advisement to colleges and universities that are planning new or expanded stadiums, arenas or other athletic facilities.